You may be tempted to rent a car while in Spain. 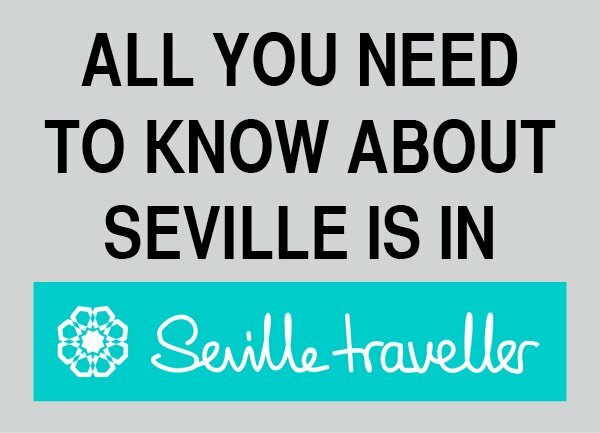 Getting to Madrid by car is easy: Spain has a modern road network and the city is particularly well connected. Depending on how much you like driving, you should consider organizing a road trip. It’s a fun and independent way of seeing the country. Not only can it be a cost-effective way for small groups to get around, but it also lets you see what’s off the beaten track. However, I recommend you to have a look at a complete guide on where to book your rental car online. 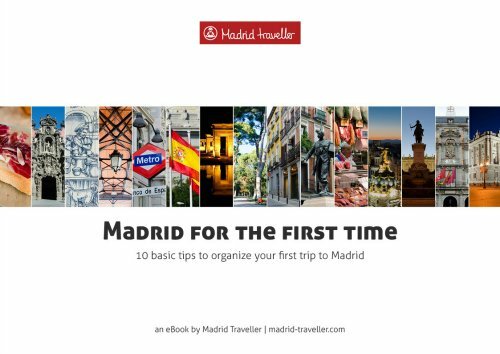 As the capital of Spain, Madrid is the central hub to which all roads lead. In fact, there is a plaque in Puerta del Sol indicating the center (km 0 or kilometer cero) of the radial network of Spanish road. A-1 (Autovía del Norte) with 371 km (231 mi) connects Madrid to Irún, next to the western part of the French border. A-2 (Autovía del Nordeste) with 504 km (313 mi) connects Madrid to Barcelona. A-3 (Autovía del Este) with 355 km (221 mi) connects Madrid to Valencia. A-4 (Autovía del Sur) with 660 km (410 mi) connects Madrid to Cádiz. A-5 (Autovía del Suroeste) with 408 km (254 mi) connects Madrid to Badajoz, next to the Portuguese border. A-6 (Autovía del Noroeste) with 590 km (370 mi) connects Madrid to Arteixo, next to La Coruña. 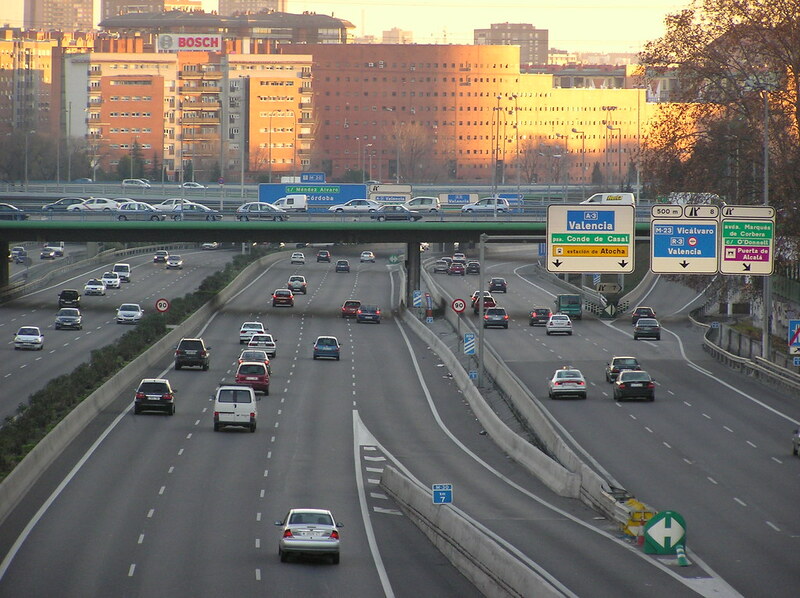 The M-30 which stretches for 33 kms around Madrid and is now almost inside the city. Don’t count on an easy drive along it! The M-40 and the M-50 are further away. During the morning and afternoon rush hours the circulation on these roads can collapse. Other highways such as the radiales (R-2, R-3, R-4, R-5). These are circular roads with pay tolls which offer an alternative road system to highways such as the A-2, A-3, A-4, and A-5 to travel into the capital from the rest of Spain. 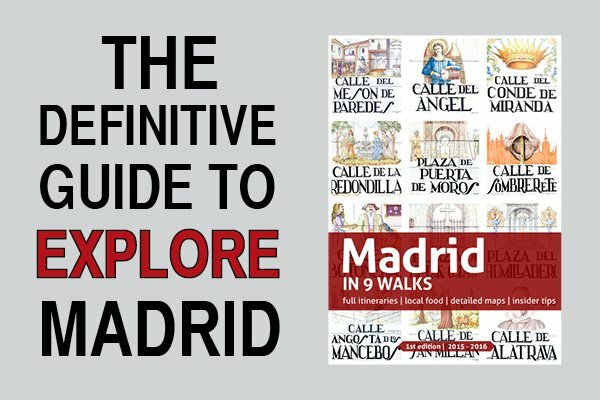 Driving around Madrid is complex if you don’t have a good sense of direction and are not familiar with the city’s roads. You need to know when to turn left or right in order to negotiate the capital’s main roads. Like in any other major Spanish cities, drivers can get very impatient, don’t tolerate cautious (or lost) drivers very well and and will protest loudly when behind a slow or unsure driver. Unfortunately, most Spanish drivers can (and do) use their horn at their will and sometimes very aggressively. So if you get lost, the best thing is to find somewhere to stop, get clear instructions and start again. Using Google Maps can be a great help in a city like Madrid. The Paseo de la Castellana is the main axis as it crosses the city from North to South. Further South, it becomes the Paseo del Pardo and later the Paseo de las Delicias. But it’s always the same avenue. To the East, Príncipe de Vergara and Serrano. The the West, Bravo Murillo and Santa Engracia. To the East, Alcalá, Avenida de América (airport exit) and Costa Rica. To the West, Gran Vía, Sagasta, Cea Bermúdez and Reina Victoria. The center of the Madrid is now called Madrid Central. Please make sure you know about the current restrictions to avoid fines. 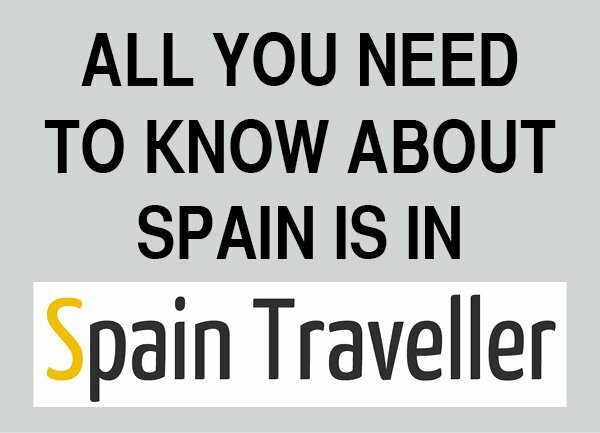 This article is part of a complete tutorial about car rental in Spain where you can read all the information you need to organize your road trip around the country. 1. 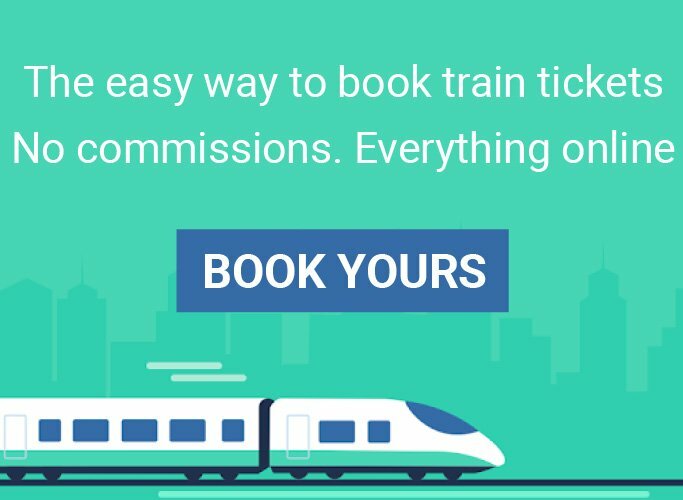 Should You Rent A Car Or Take The Train? 3. Do You Need An International Driver’s Licence? 5. How To Find Cheap Rental Rates?